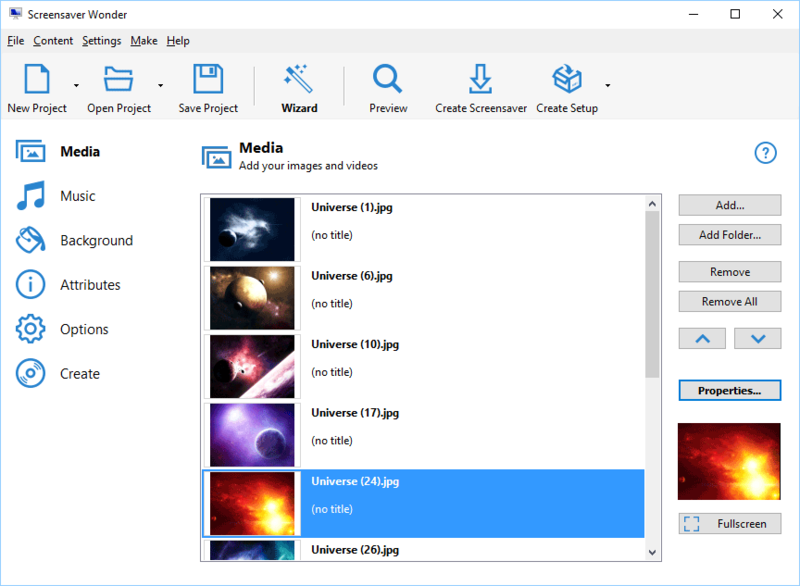 With Screensaver Wonder you can easily make a screensaver from your own pictures and video files. Create screensavers for your own computer or create standalone, self-installing screensavers for easy sharing with your friends. Together with its sister product Screensaver Factory, Screensaver Wonder is one of the most popular screensaver software products in the world, helping thousands of users decorate their computer screens quickly and easily. Screensaver Wonder is a screensaver software for personal, non-commercial use only. It includes essential features and allows creating non-commercial screensavers. Screensaver Factory is a much more powerful screensaver software designed for professional and commercial use. It can be used for creating advanced screensavers, marketing, brand advertising and for creating screensavers for sale.